Subaru will gradually adopt the angular face of the Viziv concept crossover shown at the Geneva auto show across its lineup, the brand's global design chief says. Subaru's current front end, dominated by a hexagonal grille and wraparound headlights, is too tame, global design chief Osamu Namba says. 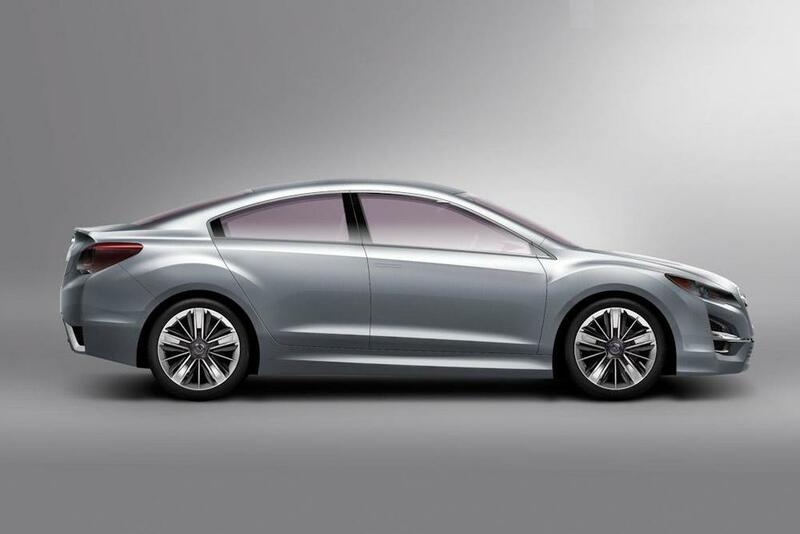 Going forward, models will take their styling cues from the Viziv. The concept's front has aggressively incised bracket-shaped headlights that fuse with the lower fog lights to cut an angular jaw shape. Elements of the look are likely to appear on a new performance concept car that will debut at next week's New York auto show. The look is unmistakable, and that's what Namba wants. "Up until now, it wasn't enough," Namba says of Subaru's traditionally staid front impression. "From here out, we want people to look at the headlamps and think 'Ah, Subaru.'" The new styling points have crept into the redesigned Forester crossover, which debuted in November. But Namba says they will gradually work their way across Subaru's lineup. "We've just started the change," Namba says. Subaru will keep the hexagonal grille, Namba says. But he wants to pump up the profile for a sharper, more technological look.